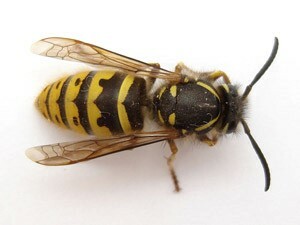 Wasp Control and Wasp Nest Removals in the Aberdeen and surrounding areas. Graham Pest Control provides a fast, professional wasp nest removal service to Aberdeen and the surrounding areas. Even if you can’t see the nest Graham Pest Control Technicians can treat the nest at the point of entry by applying residual dust insecticide which the worker wasps will take into the nest and to the queen. The nest will die off after about 24 hours. If the nest can be accessed a quick freeze spray can be applied which will kill the nest within minutes and it can be bagged and removed. Queen wasps hibernate over winter and begin a new nest every spring and will start producing worker wasps, all sterile females, who will forage for food. A queen wasp will never re-use a nest from a previous colony but may well build one nearby. By the end of the summer a nest can contain up to 30,000 wasps if conditions are good. A nest can go undetected for some time until you see the constant coming and going of the worker wasps as they come and go from the nest. A small hole in the eaves or a gap in the roof tiles with busy wasp activity can be a sign of a nest. Wasp nest removal is not something to tackle yourself so professional help is essential. If you see wasp activity around your property with many wasps entering and leaving the same area the chances are that you have a nest inside or nearby. 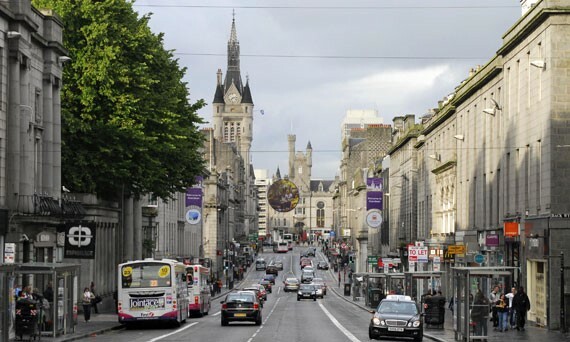 Graham Pest Control has over 20 years experience in pest problems in Aberdeen and around Scotland. Call us any day of the week between 8am and 10pm for help or expert advice. or Freefone 0800 14 65 44 for any wasp problems in Aberdeen or surrounding area. Wasp problems in Aberdeen or surrounding area? For a fast, professional and reliable service you can count on Graham Pest Control.